The Reel Asian International Film Festival (Reel Asian) is very pleased to announce the appointment of Deanna Wong to the role of executive director. 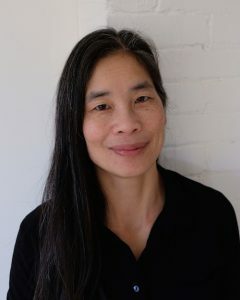 Wong has nearly 20 years’ experience in the not-for-profit cultural arts sector in Canada and brings in-depth knowledge of the Toronto film industry and film festival culture. The appointment is a second term for Wong, who previously served as executive director of the festival between 2005 and 2008, and played a key role in the organizational growth of Reel Asian. In her most recent position as administrative director for REEL CANADA (2011–18), Wong was instrumental in cultivating strategic partnerships. During her tenure in 2017, REEL CANADA launched the very successful National Canadian Film Day 150, the world’s largest one-day film festival, an international, cross-country, multicity initiative. Reel Asian presented the 22nd edition of Canada’s largest Asian film festival in November 2018. The Toronto Reel Asian International Film Festival (Reel Asian), presented by National Bank, is a unique showcase of contemporary Asian cinema and work from the Asian diaspora. As Canada’s largest Asian film festival, Reel Asian® provides a public forum for Asian media artists and their work, and fuels the growing appreciation for Asian cinema in Canada. This year’s festival runs in November 2019 in Toronto and North York. Reel Asian will be showcasing special projects featuring prominent artists, content creators, up-and-coming filmmakers and will also include the “Reel Ideas” program for creative minds in the industry to connect. Works presented at Reel Asian include films, videos, and presentations by East, South and Southeast Asian artists in Canada, the U.S., Asia and all over the world. For more information, visit reelasian.com. The Toronto Reel Asian International Film Festival, presented by National Bank, gratefully acknowledges the support of government funders the Government of Canada, Canada Council for the Arts, Telefilm Canada, Government of Ontario, Ontario Arts Council, Ontario Creates, Ontario Cultural Attractions Fund and Toronto Arts Council.